Living in New England during the winter months can be challenging, but it shouldn’t be difficult in your home. Sadly, heat can escape through the cracks between the glass and frame, which means your money is going straight out the window. Renewal by Andersen of Southeastern Mass and Rhode Island understands this and has created the solution. Our revolutionary, innovative Fibrex™ material makes the difference in Rhode Island replacement windows. Fibrex™ combines the strength and stability of wood with the simplistic ease of vinyl at an affordable price. This material allows us to make our frames thinner without compromising integrity and to use larger panes of glass to give you a larger view. The big picture is that you can enjoy traditional and minimalist aesthetic with all of the benefits of modern technology. Fibrex™ seals in the warmth during the winter and keep the cold at bay. Smile as your energy bills are lower than before knowing that your windows are saving you money. The cold may be bitter outside, but you can sit comfortably warm gazing out as snow covers the ground. As with every material we use, energy efficiency is a priority; Fibrex™ is comprised of 40% raw, reclaimed wood fiber. Environmental consciousness remains a key component of our company and projects which has earned us an Energy Star certification for constantly surpassing strict regulations while providing top quality materials into your home. 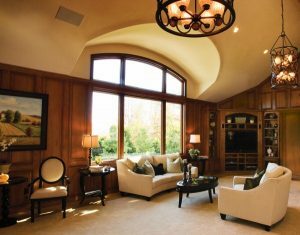 Enjoy larger panes of glass for larger views and premium insulation at affordable rates while never having to worry about care or maintenance. Once Fibrex™ sets in your home, it remains durable for decades, no scraping or painting necessary. It’s malleable nature means it can fit any arch or design. 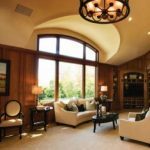 Select the style of replacement window for Massachusetts and Rhode Island that suits your desires and experience the scientific innovation that will protect your home and heating bill.